I've been posting about Japanese restaurants recently and I can't help but miss our food trips in Little Tokyo, Makati. 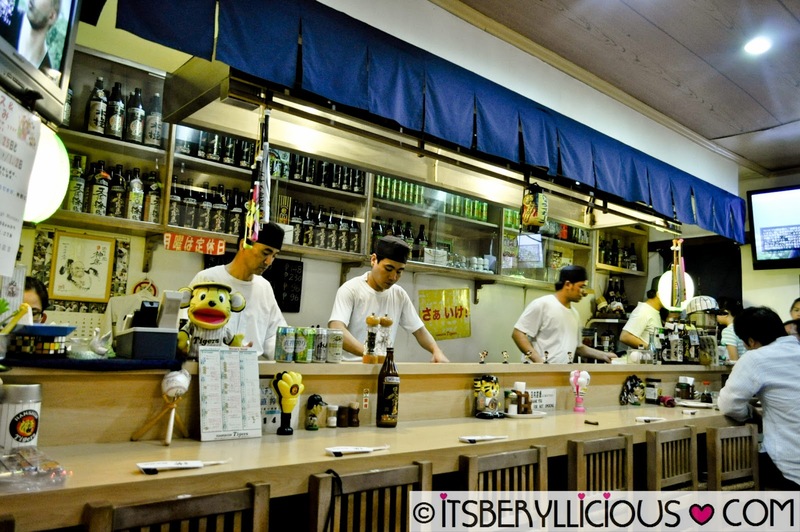 Little Tokyo is this small world of Japanese restaurants situated in Pasong Tamo, Makati. 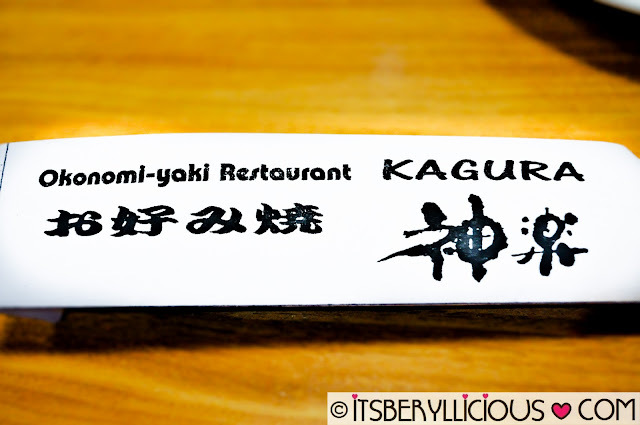 If you are Japanese cuisine fanatic, then you should never miss this place. Authentic Japanese restaurants are nestled together with accents and decors to bring in that warm and cozy Japanese dining experience. We settled in Kagura which is famous for its Okonomiyaki dishes. I love seating at their Tatami tables which gives a casual vibe dining. Or you may also want to sit on the counters for a closer view of how they prepare the orders. During our visits to Kagura, we never miss ordering their Okonomiyaki. 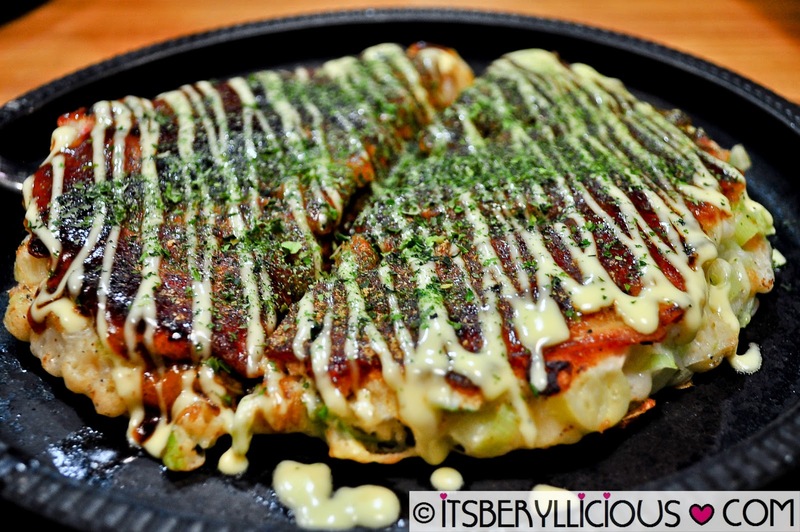 We have tried their Negi-yaki Okonomiyaki which is basically Japanese batter fried cake with welsh onion, pork and egg. It is drizzled with a sweet okonomiyaki sauce and Japanese mayo then sprinkled with some aonori or green nori flakes for a beautiful and savory finish. 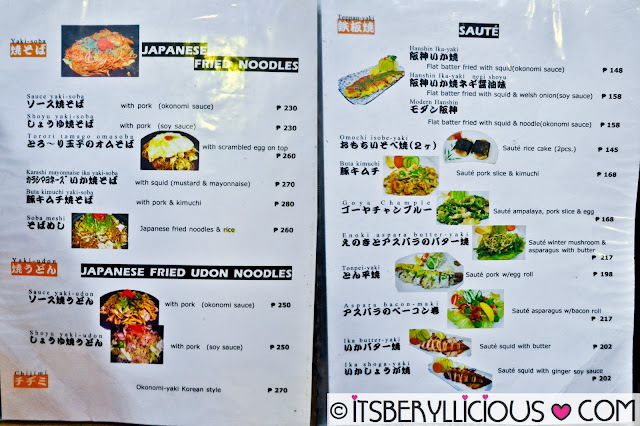 If you are looking for a heavier and more filling option, you may also want to try their okonomiyaki classics with noodles for just an extra P30. 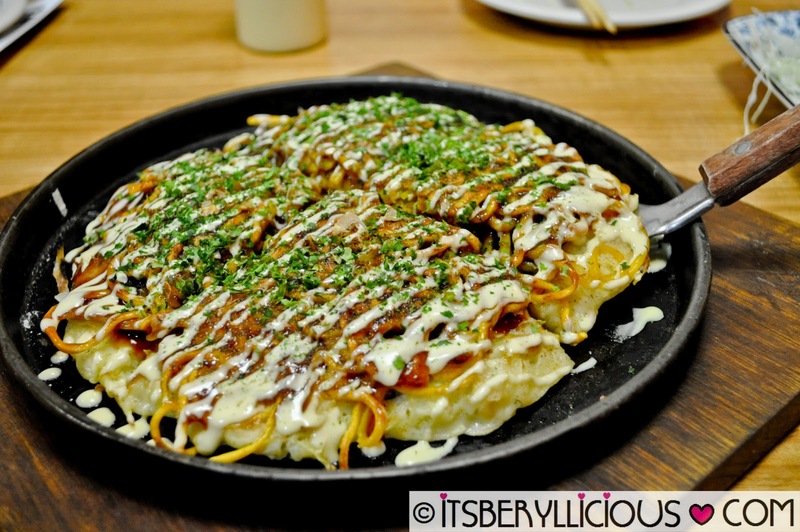 The Modern Tako Tama is their classic okonomiyaki with octopus and egg added with some noodles. Although this carb-loaded dish seems quite heavy to eat, I still find it as an interesting combination to add a crunchier texture to your Japanese pancake. 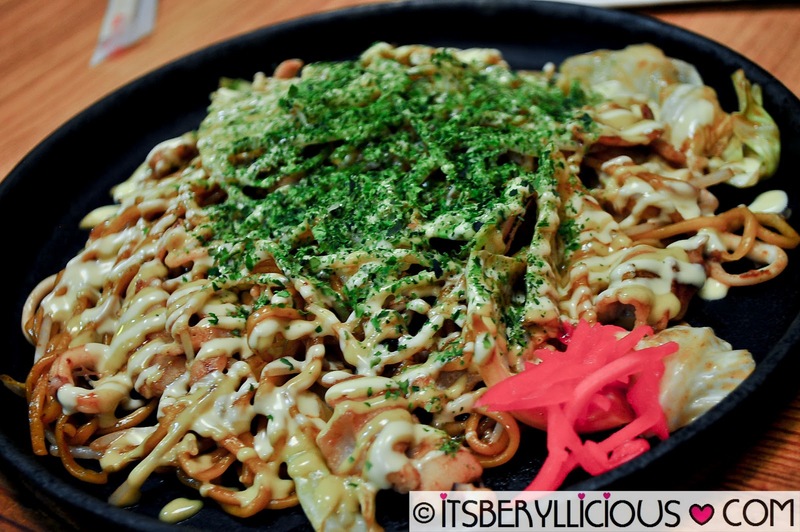 Now, if you love stir-fry noodles but is quite unsure about mixing your noodles with okonomiyaki, then you may opt for Kagura's variety of stir-fry soba and udon. 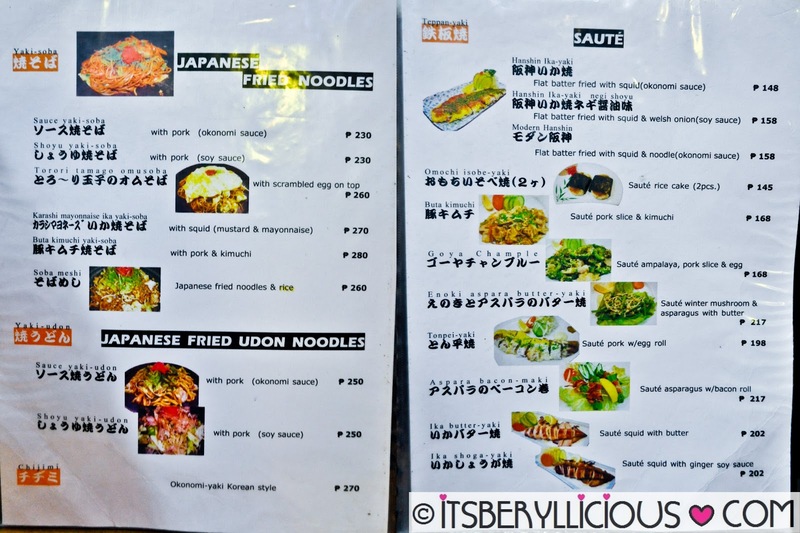 We tried their Karashi Mayonnaise Ika Yakisoba which is their fried yakisoba mixed with squid and veggies in mustard and mayonnaise sauce. Somewhat similar to what we had in Octoboy but this has a milder taste with a more Japanese touch from the karashi mustard. Although I'm not much a fan of the Japanese mustard, the flavors of the dish blended perfectly well. Aside from Kagura's savory okonomiyaki, they also offer other saute and teppanyaki items such as this Tonpei-yaki and Hanshin Ika-yaki. The Tonpei-yaki is an egg roll with pork filling while Hanshin Ika-yaki is a flat batter fried with squid in okonomiyaki sauce. Although I prefer the latter one, I find it quite similar to their okonomiyaki. Another great thing about dining in Little Tokyo is that you can order from the other restaurants without actually going in that specific resto. You just have to ask the servers to order them for you but up to a certain number of dishes only. 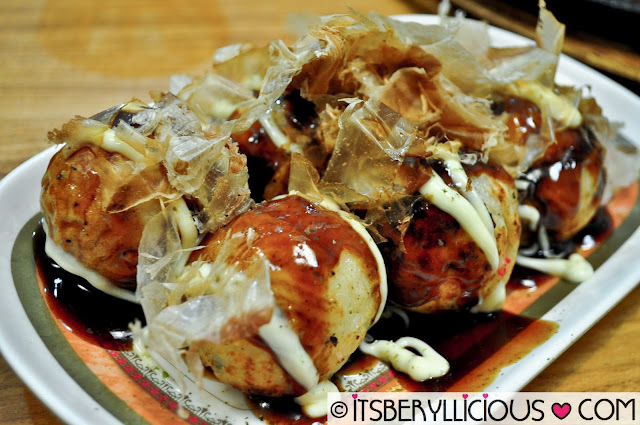 In visiting Little Tokyo, don't miss to order these freshly made Takoyaki Balls from Hana located just beside Kagura. I must say that it is one of the best-tasting takoyaki balls in the Metro aside from Octoboy's. Aside from Hana, I also got to try Nodasho's maki and onigiri. 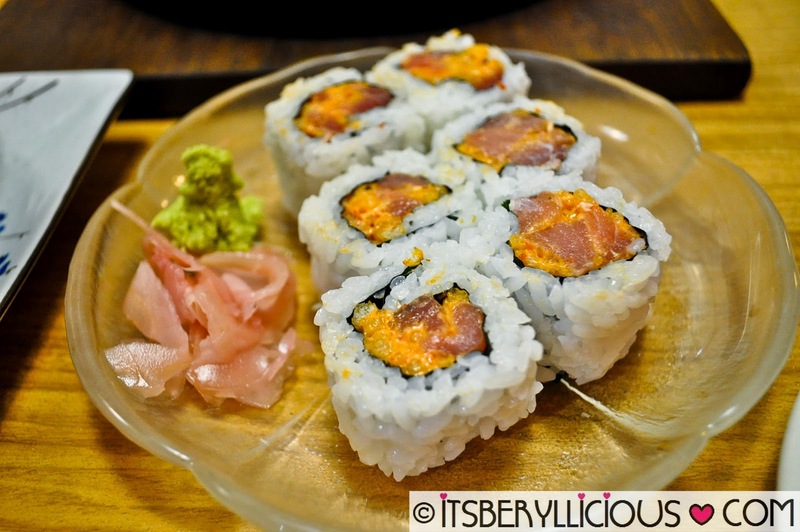 Their Salmon Onigiri is a big triangular rice ball wrapped in nori with salmon flakes filling. I love the salty-sweet balance from the salmon, seaweed and Japanese rice altogether. Nodasho's specialty, the Spicy Tuna Maki is a great choice for spicy lovers. Although it was a spicy choice, the spiciness wasn't overbearing to the taste and the fillings were quite generous too. I can't wait to try more of the neighboring Japanese restaurants in Little Tokyo. My Little Tokyo adventure doesn't stop here because if Kagura has the best-tasting Okonomiyaki and Hana has the best-tasting Takoyaki, I'm pretty sure the other restaurants have their own Japanese specialty that is certainly worth a try. I feel hUngry.. tokyo food ! 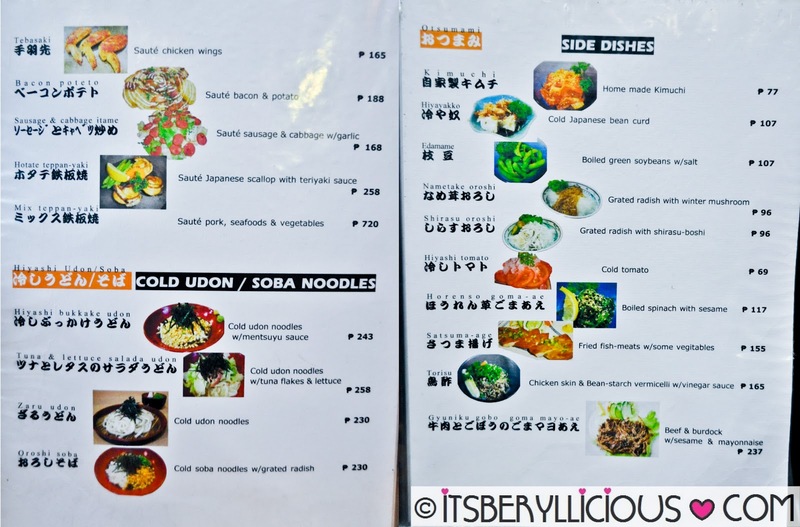 There's a Little Tokyo here in Makati? Thanks for this. My gulay, 9 years in Makati and I never even knew about this. 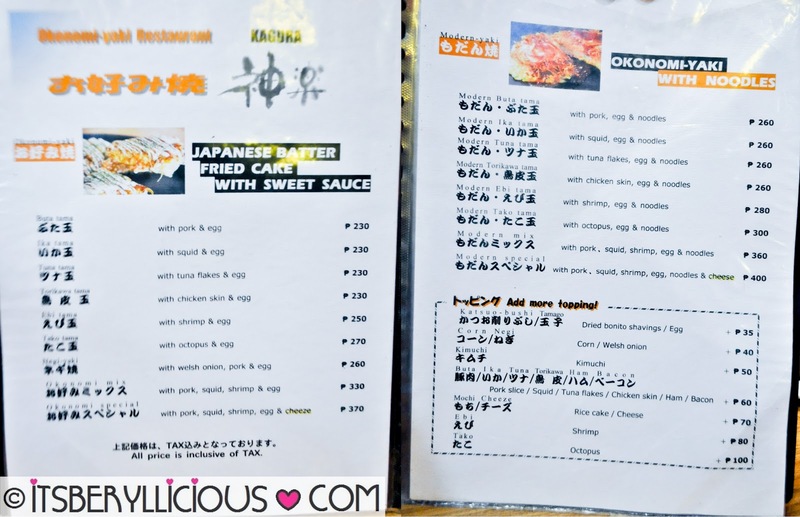 my mouth watered when I saw the Takoyaki Balls!! Little Tokyo is amazing, and what makes it really cool aside from the great food is that you can just stay in one resto and order additional items from the other restos within the compound...and great to finally meet you last night! 'Till the next food trip! One of the remaining few places that serves Authentic Japanese food with an Authentic Japanese ambiance. The place is a gem!!! Hi! Just want to ask what camera did you use to take these pictures? You'll probably require toaster this really is qualified at verifying tire pressures regularly exceptional warms without ever hot spots where it use cuisine. Any location open to start must pre-loaded with information that may possibly survive the site effortlessly. Cooks in only just a few seconds and runs just like a rotisserie without having to use moving and even basting. Place cornbread in a oiled Dutch Oven, lid, so conceal across happy coals 5 or perhaps A few minutes or else up to the point golden wood. A suitable people finder serp would have any single potential to generate two people with one another who were your self one another's spot for a tough duration of time. increased temperatures a bit from a microwave oven. Pond's Lotion is a brand within beauty and health maintenance systems specifically maded by Backyard Start that is definitely properties of Unilever, a multinational specialist popularly appreciated across the world. wow,the food looks yummy,i think its time for me try japanese food! i never tried japanese food before,but i would love to try this place. japanese food are truly delicious! woohh all food looks delicious. :) thank you for this review.